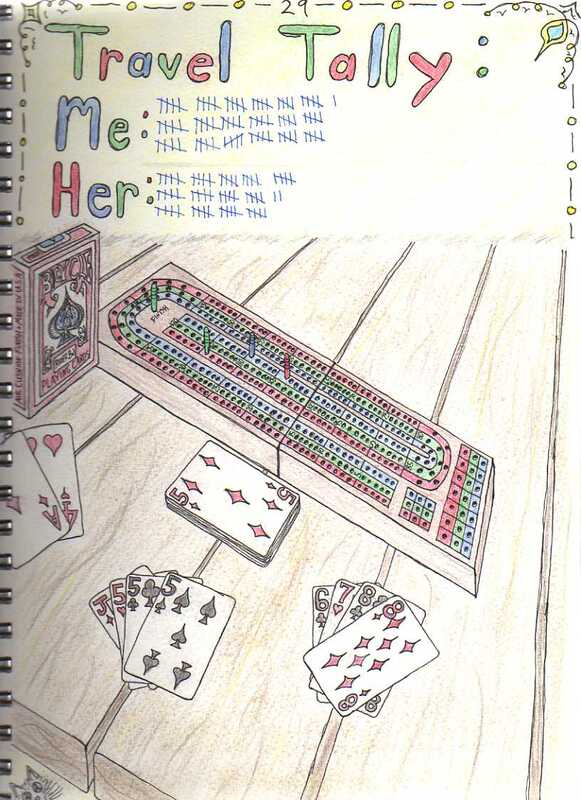 Posted by Jen Pappas in B-Sides, Poems and Misc.. 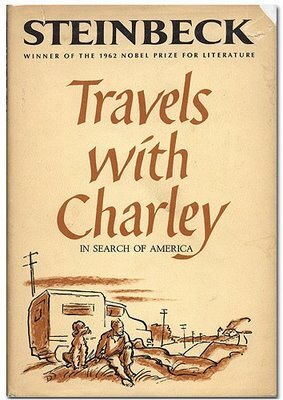 The other day, I finished reading John Steinbeck’s Travels with Charley – In Search of America for the first time. I must admit, its left me itchy to travel again and slightly irritated that I have no pending travel plans. Hell, I’ve been married nine months and still haven’t taken a honeymoon. My passport is morose. As I neared the end of the book, I realized something rather obvious – about reading and traveling. It’s not the immense beauty of Montana skylines and roadside diners that make me want to pack up and go, it’s the endless monologue that goes on in one’s head – that’s what I truly want. On a true journey, one can’t help but feel like a newborn baby, seeing the world and people and signage in archaic fonts for the first time. Everything is a miracle. Wonder, patience, confusion… you feel it all like so many refractions of conflicting light all day, every day. It’s exhausting, but it changes you. Indelibly. Posted by Jen Pappas in Uncategorized. Today after our run, we sat down on the lounge chairs by the pool to stretch and finish sweating. A yellow butterfly kept circling my shoulders as I stretched, finally landing on the back of my shirt – mistaking the bright emblem for a flower. It perched for a moment before flying away. I took the shirt off and handed it to Steve who bunched it up so only the flower-like logo was showing. We waited. After a moment, the butterfly again landed on what it took to be a flower. Slowly, Steve brought the shirt closer and closer to his face until he was nose-to-wing with the creature. I held my breath, watching as he bent ever closer, rubbing the tip of his nose against one yellow wing, giving it an eskimo kiss. It was as intimate as writing a letter. Posted by Jen Pappas in Poems and Misc., Rosario. 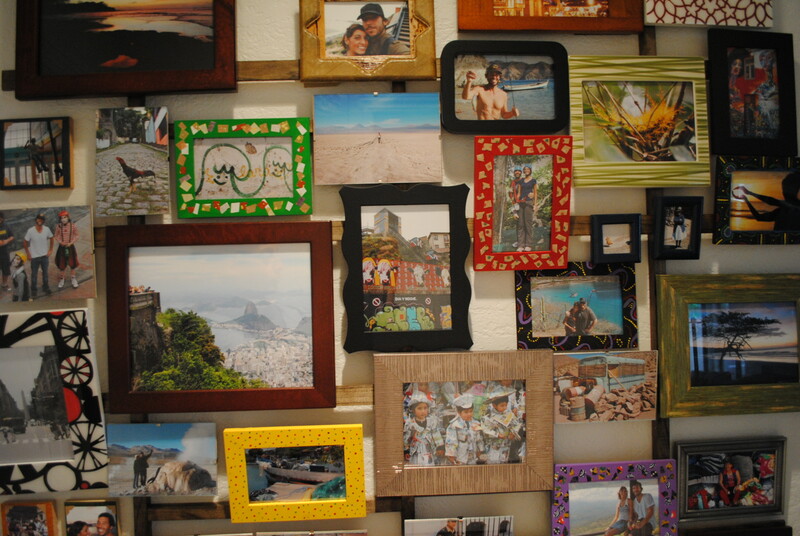 Posted by Jen Pappas in Bogota, Poems and Misc..
Bogotá smells delicious: fresh sliced pinapple and mango intermingle with grilled corn, hot coffee, melted cheese rellenas, and other unnameable foodstuffs wafting out of open doorways. The cobblestone streets even let off a cool, earthy smell unlike the sewer stench and general decay of any other big city in the world. The air is thin. The clouds barely budge an inch until evening when the chill disperses their languor, revealing a calm, deep night. Teenagers gather in the plazoleta and narrow alleyways of Calle 2, sipping boxed wine out of colorful straws, laughing between blots of conversation. We pass by slowly, as if they’d ask us to join them if only they could decipher the childlike curiosity – the desire to belong on our faces in the dark. Crowds shuffle slowly down Carrera 7, elbowing one another without malice to get a better look at the various goods laid out on the street’s parade of plastic tarps. Everywhere people are shouting their wares: “Tamales!” “Llamas!” “Fruta!” It’s a maddening collision of sight, sound, smell and incidental brushes with humanity. Which brings me back to my original point, Bogotá smells delicious. As many long-term travelers know, there’s a lot of downtime on the road, and not just in train stations or on overnight buses. One can’t spend their entire day sight-stumbling, drinking and meeting people. As much as I’d like to challenge the notion, one can’t spend their whole day reading and writing either. So when we weren’t out exploring, people-watching or eating, Steve and I played a lot of games – namely Travel Scrabble and Cribbage. Those who know us well know that Steve has the obvious advantage when it comes to numbers, while I have the upper hand on words. From the day we left the United States in July to when we returned in mid-January, here are our final tallies for killing time. 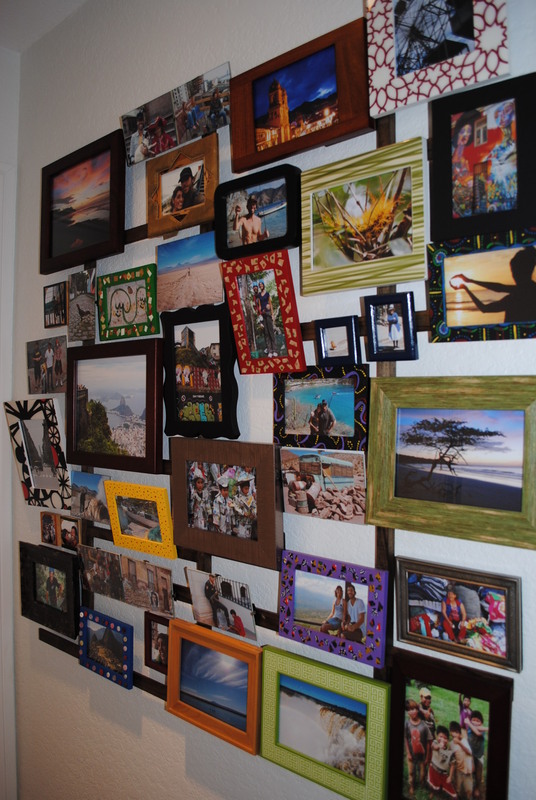 Posted by Jen Pappas in Cartagena, Poems and Misc..
Now anyone can scale your walls. even your name sounds romantic. for drawing the tourists in droves? Posted by Jen Pappas in Top 5. We’ve been back in the United States just over four weeks now, and rare is the day that goes by without some sort of reference to the time we spent in Latin America. Luckily, this blog is a useful place to return to each time we start to murmur, “Remember when…?” We’ll continue to update this blog whenever we get the opportunity to travel, which judging from our bank accounts, won’t be for a awhile. 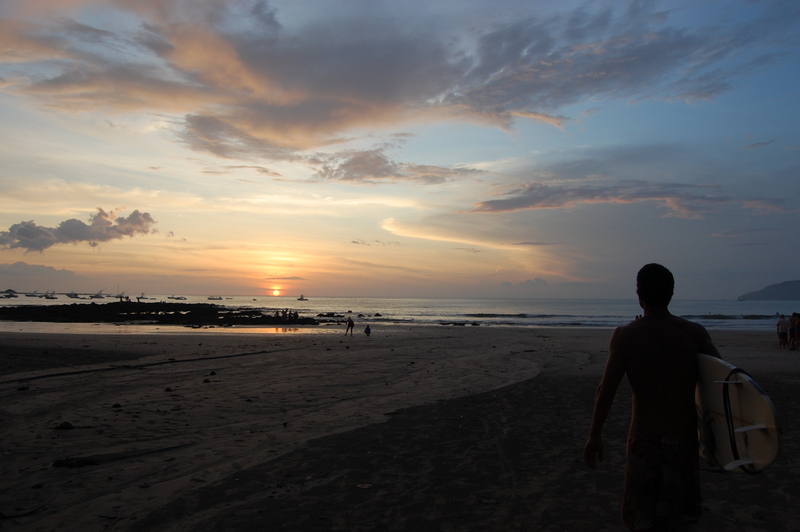 Until then, we give you a list of our top five destinations from the six months we spent in Central and South America. Big, rural, majestic, gritty… These are places that caught our attention, prolonged our stay and kept us wishing for a teleportation device. 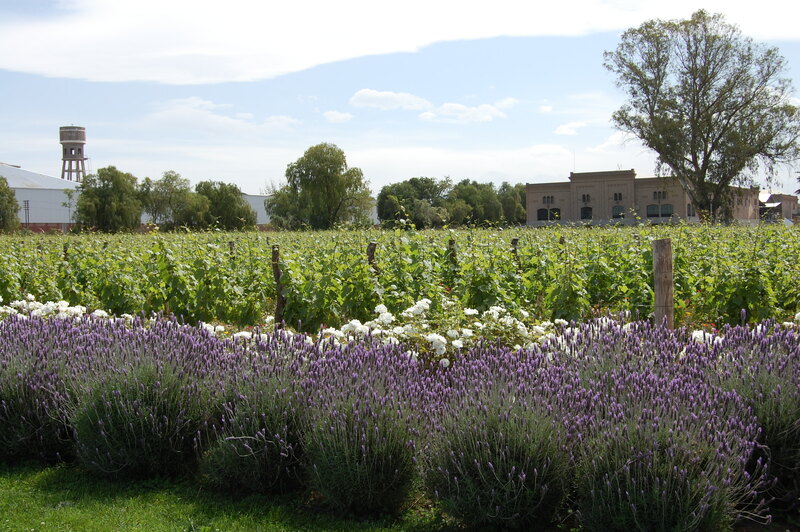 We'd like to award an honorable mention to the city of Mendoza, Argentina. Although it didn't make our list, it was awful close and we'd return to wine country in a heartbeat. They also had the best looking girls there, but that really only benefits Steve.